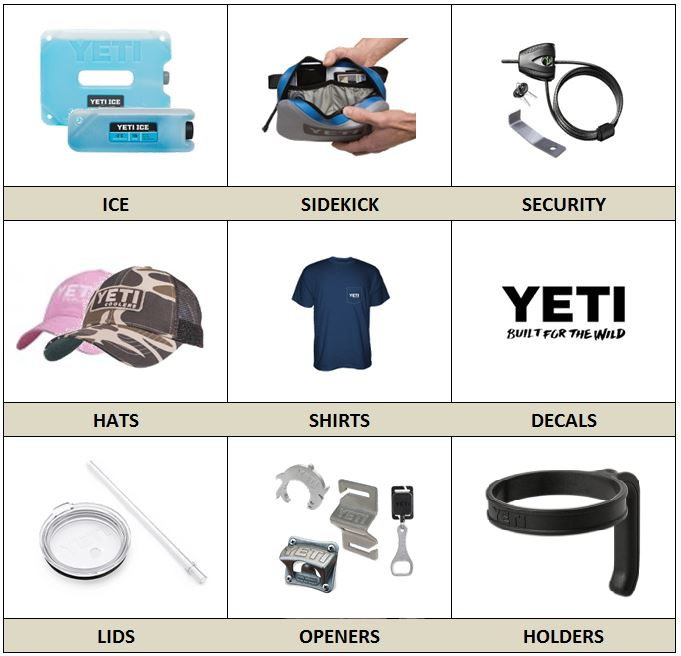 Founded in 2006, YETI Coolers virtually created the market for premium coolers by designing an extremely durable product with superior insulating properties for a variety of end markets and uses. The coolers are rotational-molded (the same process used to make whitewater kayaks) to ensure impact resistance and long-term durability. Not sure what size YETI Cooler you need? Check out this handy Sizes & Capacities chart. Where it all started. 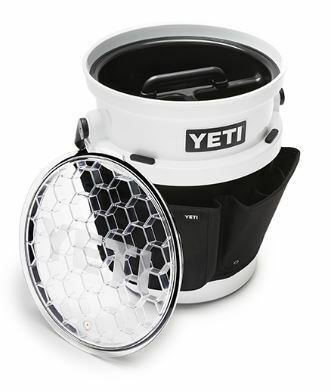 YETI creates a whole new category of coolers with legendary toughness and famed ice retention. The rugged, all-purpose Tundra in enough sizes to fit any outdoor adventure. Tundra 35, 45, 65 all stocked in tan and white; Tundra 90 stocked in white only. The Roadie 20 stocked in tan, white, and blue. The full-frame ColdLock™ sealing gasket combined with thicker walls filled with premium insulation offers industry-leading ice retention. Other features include integrated T-latches that keep the lid securely closed, a full-length, self-stopping hinge; tie-down slots for solid mounting; and integrated padlock ports to make the coolers certified bear resistant. The world's best (don't call it soft) portable cooler. Durable design and construction assure you a lifetime of extreme performance. Head to a sporting event or the beach, or simply lounge outdoors with your favorite beverage in tow with a YETI® Hopper Cooler. This convenient tote-style cooler lets you sling your snacks and drinks over your shoulder for easy transport. Hopper 20,30,40 stocked in gray and tan. Brand New -- the Hopper Flip™ 12! Like the original Hopper™, the Hopper Flip 12 can withstand serious abuse in the field, even with everyday use. Its wide-mouth opening makes for easy loading and access to your food and drinks. Plus, its compact, cubed body allows for ultimate portability, never slowing you down. It’s the only personal cooler that’s game for full days in the tree stand, early mornings in the duck boat, or afternoons on the water. Stocked in gray/blue only. The best times in life seem to involve good friends, family, and a healthy supply of ice-cold drinks nearby. So YETI designed the Tank to be the perfect centerpiece of all the fun. This nearly indestructible party machine is packed with our patented cold-holding insulation to keep your next backyard barbecue, tailgate, or beachside bonfire wilder, longer. Features DoubleHaul handles for hassle-free carrying. Tank 45 and 85 stocked in tan only. Fill up a YETI® Rambler Tumbler with your morning coffee or refresh yourself with ice water throughout the day. The double-wall, vacuum-insulated, stainless steel construction ensures temperature retention and no condensation. Stocking in 10, 20, and 30 oz sizes, as well as the Colster which keeps your favorite canned beverage icy cold. When you're on the go, YETI Bottles are the perfect way to transport your favorite hot or cold beverage. Available in 18, 36, and 64 oz. sizes in a variety of must-have colors. Meet the YETI LoadOut™ Bucket. Stocked in three different colors, this 5-gallon, injection-molded essential is 100% YETI tough and designed to exceed any need from the boat to the backyard. It's the only bucket that we trust to get the job done right each and every time we need it. The LoadOut Bucket holds its own. And pretty much anything else. Deck it out with the optional Lid, Utility Gear Belt, and Lift-out Caddy.